A community has rallied round to support a young Subway worker in Milton Keynes who was beaten up by two teenage customers simply because the loo was out of order. Ben Pearson, 21, was kicked to the ground unconscious by the boys, who were aged no more than 16. Even as he lay helpless and bleeding, they continued to kick him and stamp on his face. “When I came round they were still kicking me. I thought they’d never stop. It seemed to go on for ever and there was nothing I could do,” he said. The reason for the outburst of violence was simply because the boys had been told they could not use the Subway toilet because it was out of order,” said Ben, who needed hospital treatment. They attackers were part of a gang of four boys who wandered into Subway at 5pm, tried to sit down without buying anything, then asked to use the loo. They were told politely they had to buy something to use the seats and that the toilet was out of order. The news of his plight soon spread around Newport Pagnell, where one kind-hearted resident set up a JustGiving fundraising page . the page had a target of £100 but within a couple of days it had raised more than £500. 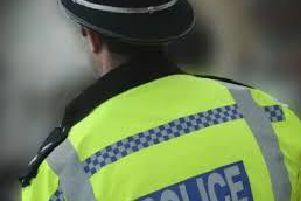 Ben, who is still off work recovering, has thanked all his wellwishers and appealed for anybody with information about his assailants to go to the police. Anybody who knows who Ben’s attackers are should contact police on 101. If they wish to be anonymous, they can call Crimestoppers on 0800 555 111. The attack happened outside Subway in Station Road at 5pm when the town was busy. Ben is hoping somebody would have seen his attackers.